Antique Baths Sydney are Australia's only cast iron vitreous enamellers, which is fired in our furnace at 850C. We retail cast iron bathtubs, pedestal basins, kitchen sinks and more Australia wide for Adelaide, Brisbane, Melbourne, Perth, Sydney and throughout the country. Alternatively, you can supply your own products for the restoration. Do you have an antique bath that’s been lying around in your shed or basement? Well you might be surprised by how we can transform a rusted and deteriorated tub into a highly polished, aesthetically appealing bath. Our resurfacing techniques have been utilised over a long career in the industry and have evolved to encompass the most effective restoration techniques. 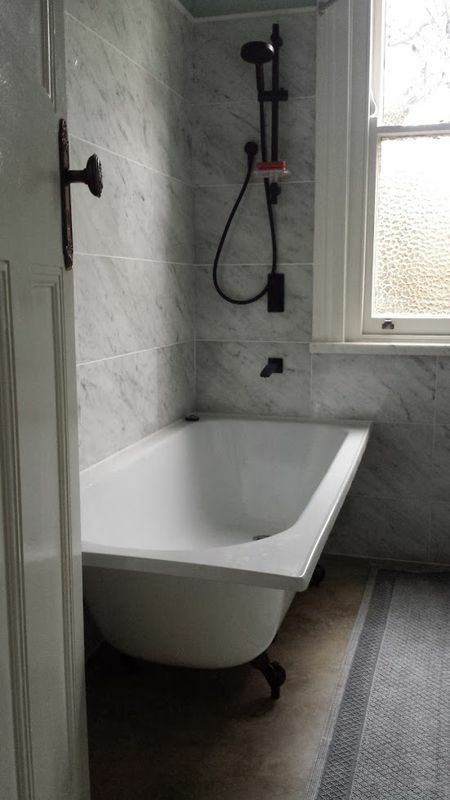 Boasting the industry strength machinery and expert knowledge to extract the best results from your bath, we are the only choice when it comes to rejuvenating your old tub. We rejuvenate cast iron bathtubs Australia-wide for Adelaide, Perth, Brisbane, Melbourne and Sydney. We have worked hard to establish ourselves as a trusted name in the industry. With a long track record for success, we have procured a long list of satisfied customers. Beyond offering a premium level of service, we aim to go above and beyond for each of our clients. When you choose Antique Baths and our team of professionals, you can rest assured that we will exceed your expectations every time and provide absolute satisfaction. With many years of experience under our belt, we understand the importance of providing a reliable and professional service that offers our clients genuine value. Our restoration services are available to Melbourne, Adelaide and all major Australian cities. How can we help you today? We’re always happy to speak with our valued clients and will gladly provide an obligation free quote on any of our bathtub restoration services. Antique Baths Sydney restore at Pendle Hill Factory for clients cast iron baths, sinks, pedestal basins, etc, from all over the country, as being a unique restoration service and to have the genuine product, Antique Baths can arrange freight from Melbourne, Perth, Brisbane, Adelaide, Sydney and beyond. Do you have a question regarding bath restorations and resurfacing? Perhaps you simply wanted to learn more about our services. Whatever the case, don’t hesitate to pick up the phone and give us a call on (02) 9896 0109 and one of our team will happily assist in any way they can.